Understanding the Middle East and all its woes is a daunting, near impossible task. 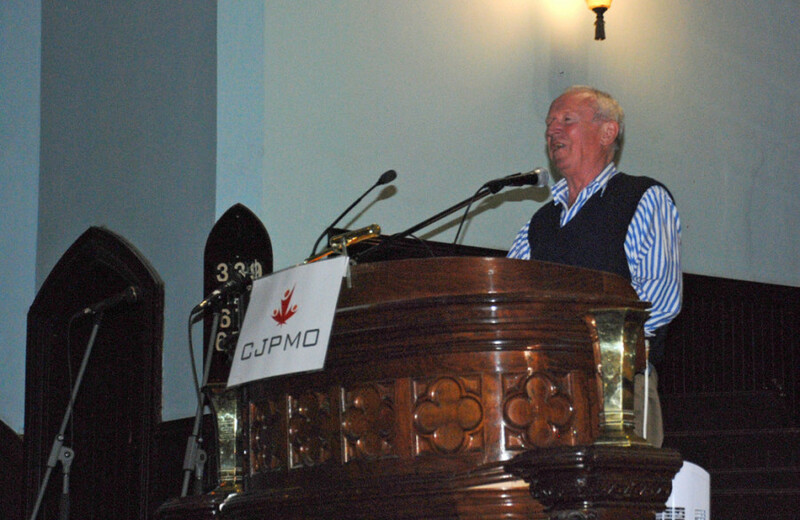 Robert Fisk, a longstanding Middle East correspondent for The Independent, spoke at the St. James United Church Saturday evening to a large group of eager listeners in an attempt to impart his first-hand knowledge about the tumultuous region. Fisk has been reporting on the Middle East for nearly 40 years. He has written numerous books, won countless awards for his work and has been recognized seven times as international journalist of the year by the British Press Awards. Notable past interviewees include Ayatollah Ali Khamenei and Osama bin Laden. The event was organized by Canadians for Justice and Peace in the Middle East and Solidarity for Palestinian Human Rights. The rhetoric around the refugee crisis is one of fear, rather than compassion, Fisk mused. “I’ve noticed over the past week and a half here, the way in which the narrative of the refugees has become constantly smeared with the words terror, terrorists and security,” he said. Underestimating the power of ISIS’s ideology would be imprudent, but the fact that we feel the need to closely examine every single incoming Syrian because we believe they might be Islamic State infiltrators demonstrates how seriously the rhetoric of fear has influenced our minds. Syrians are fleeing Syria because they too fear ISIS. “One of the thing’s I’ve noticed is … politicians in this country seem to have fallen behind in their understanding of suffering,” Fisk said, comparing Canadian politicians to Canadian soldiers, who, in his view, are more compassionate towards refugees. Nonetheless, a study conducted in July by ORB International shows that 21 per cent of Syrians believe the Islamic State has had a positive influence on Syria, in one way or another. According to Fisk, it is a matter of restoring honour to our country. He admits that he doesn’t have an answer to the crisis, but believes that new institutions are needed to help hundreds of thousands of people escape from war. Conservative measures would see 10,000 refugees settled by September 2016, Liberal measures would see 25,000 settled by January 2016, and the NDP would aim for 10,000 by the end of the year and 46,000 by 2019. According to Fisk, the story of the Middle East—which is a Western-centric name for west Asia—began with the division of land between France and England by means of the Sykes-Picot Agreement after World War I. “We claimed we were giving a mandate to nurture them to understand how to run a country, and then we handed it over to dictators of our own; dictators who we paid, and armed to keep their people down,” he explained. “What is this creature, ISIS?” Fisk asked. The terror group uses more camera angles to film their heinous executions than Hollywood uses to film their motion pictures. They destroy great works of art with systematic precision, and show no emotion when slowly decapitating their victims. “It took me a long time before I realized that ISIS is a weapon. It is a weapon with as little emotion and feeling as a [missile], or a [battleship]. It has no feelings. It has no emotions. It is empty, because it is a weapon,” he said. Stating that Saudi Arabia and ISIS dangerously “share precisely the same beliefs,” he claimed that funding for the Islamic State was coming from Qatar and Saudi Arabia. He didn’t specify that it was the governments of theses countries that were doing the funding, but that the money was nonetheless coming from those Gulf States, and possibly others.